Come along to a bird observatory in Israel with Kar-Ben author Anna Levine. 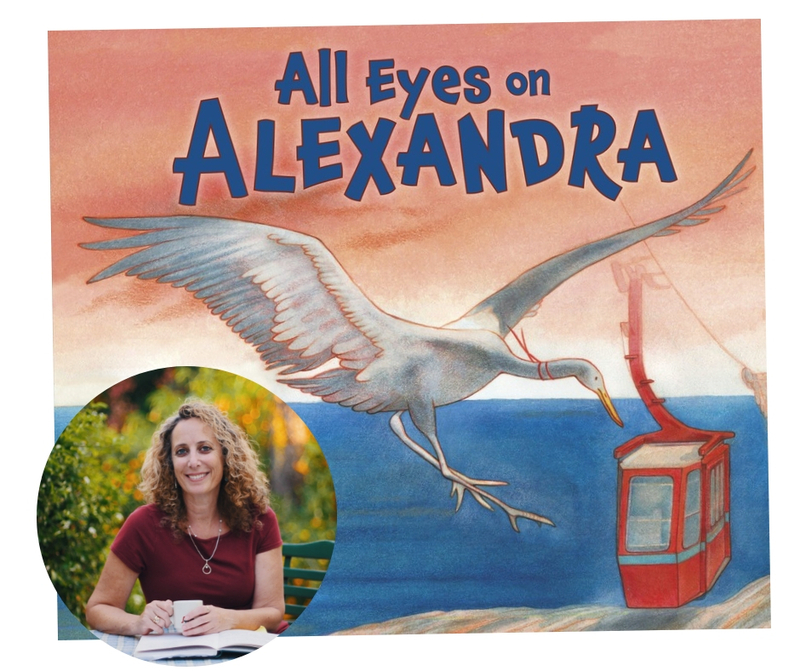 Her newest book All Eyes on Alexandra tells the story of a young bird whose family is migrating to Israel's Hula Valley for the winter. Alexandra crane is terrible at following her family in their flying Vee. She can't help it that the world is so full of interesting and distracting sights! When it is time for the Cranes to migrate, Alexandra is excited, but her family is worried--will Alexandra stay with the group? They all learn that a bad follower can make a great leader as Alexandra saves the day! The researchers at the bird observatory arrive before sunrise to set out special nets that gently trap the birds so they can study them before releasing them back into nature. They transfer the birds from the nets into soft cotton bags, which allow the birds to breathe, where it's dark so it keeps them calm, and if they flap their wings it's soft and can't hurt them. 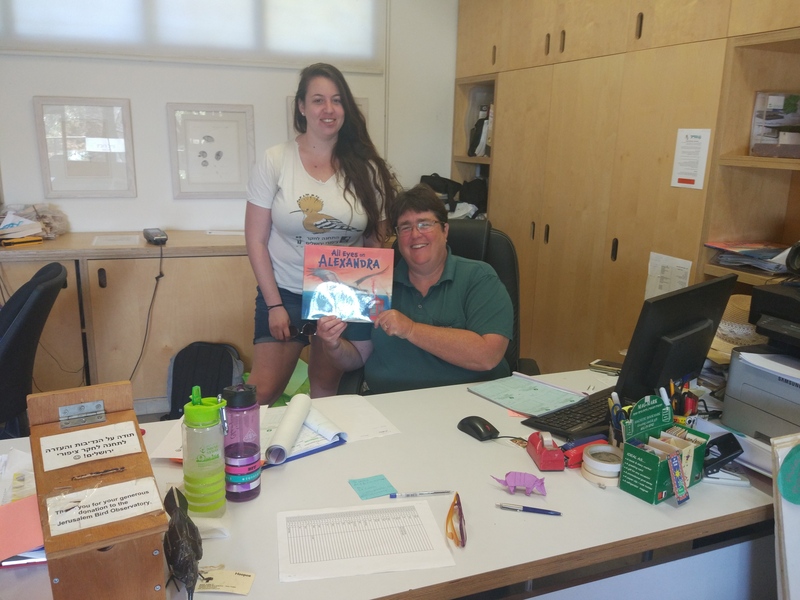 What do the bird researchers want to find out? I spoke to one ten-year-old taking part in a workshop. He explained how you can tell how much fat has collected on a bird by blowing on its feathers. Yellow means full of fat. Red means empty. The researchers weigh the birds and put a little identity ring around the bird's foot which allows the researchers to keep a data base of the birds. Birds don't celebrate birth days, but you can tell whether it's a juvenile or adult according to the feathers, wings and tail length. "We've had researchers from Poland, Sweden, Greece and many other countries get in touch with us here about migrating birds. Since there is no global data base, each country tracks their own birds and shares information with each other,"� explains Alva Bindes, volunteer and researcher who guides groups during the year. 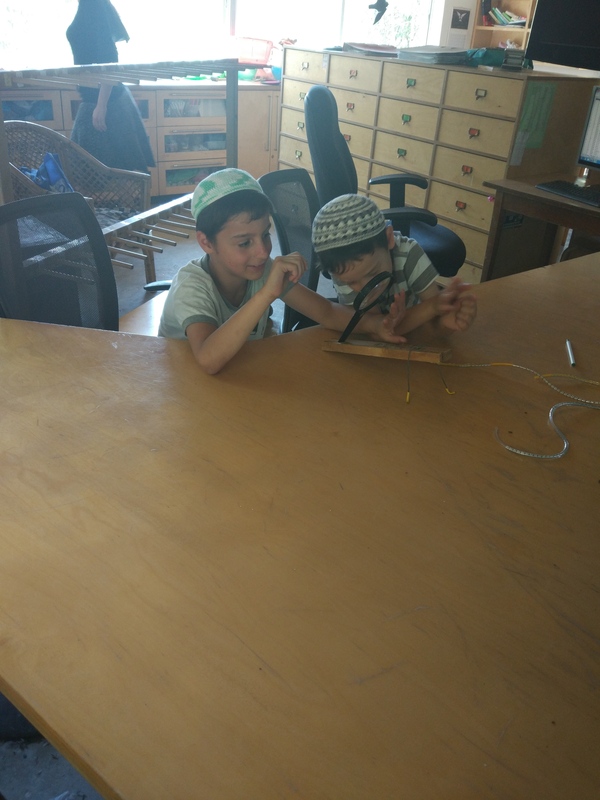 She says that during Passover the observatory is full--not only with birds, but students on spring vacation who come to watch. Alva is also a pro at making origami cranes. 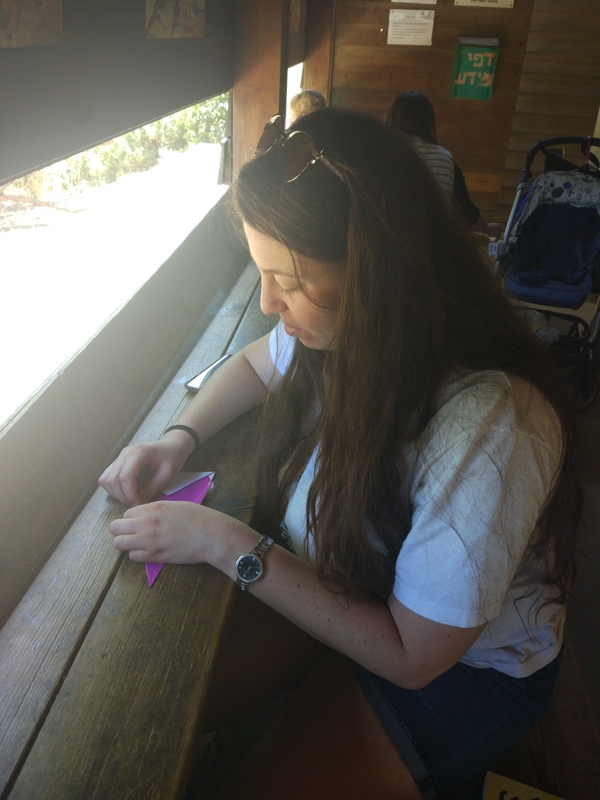 Join me during Hanukkah vacation when we will all go up the Hula Valley to see the millions of birds that fly over Israel on their way to Africa--or you can read about Alexandra's flight in All Eyes on Alexandra.